Sheffield, Barnsley, Rotherham, Chesterfield, Dronfield, Worksop and the Hope Valley. Lock Snapping is a growing security concern, as experts in door and lock security the Master Locksmiths Association recommend 3 different ways to prevent lock snapping. There are many different types of lock cylinder on the market, most people are now asking which cylinder for their front or back door is the most secure and ultimately will help protect them against lock snapping. If you are looking to replace your door lock and protect against lock snapping then using one of the below three methods will help protect against this method of attack. 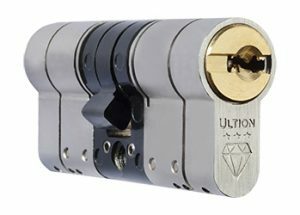 What rating should my lock cylinders have? We believe that you can minimise your risk of being a victim of lock snapping by ensuring the lock you purchase has the Sold Secure ( SS312 ) Diamond Standard Approval. We recommend viewing Sold Secure’s Approved Diamond Cylinder list (external link to the Sold Secure Approved Products Website). An alternative specification to look out for is the TS007. 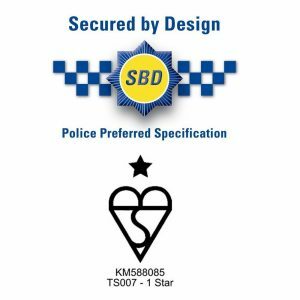 BSI Kitemark to this specification however it is important to note that there is a star rating associated with this. In order to protect against lock snapping a 3 star rating needs to be reached. In order to achieve this you can use a 3 star cylinder. We recommend that a 3rd party approval of this standard is sought. 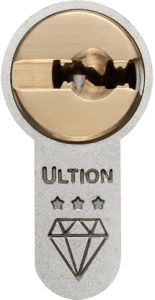 An alternative to the simple 3 star cylinder option is to have a 1 star cylinder protected by 2 star approved door furniture, for example security handles or a cylinder guard. The complexity of these standards is why you should seek specialist advice from your local vetted, inspected and qualified locksmith. We understand that many security issues occur during the night or small hours and we’ll always ensure that we are available to assist with whatever your need from Precision Locksmiths Sheffield in Beauchief and Greenhill, so keep our number somewhere safe so that you can always call us if you find yourself in need of a Beauchief and Greenhill based emergency locksmith in Sheffield. From break-ins to lost keys, we are on hand to help! Professional and Affordable Locksmiths in Beauchief and Greenhill, Sheffield. We are fully insured locksmiths and always complete work to the highest standard at the best price in and around Beauchief and Greenhill,Sheffield. We take immense pride in our quality of service and high quality workmanship. We understand that many security issues occur during the night or small hours and we’ll always ensure that we are available to assist with whatever your need from Precision Locksmiths Sheffield in Hillsborough. Keep our number somewhere safe so that you can always call us if you find yourself in need of a Hillsborough based emergency locksmith in Sheffield. From break-ins to lost keys, we are on hand to help! 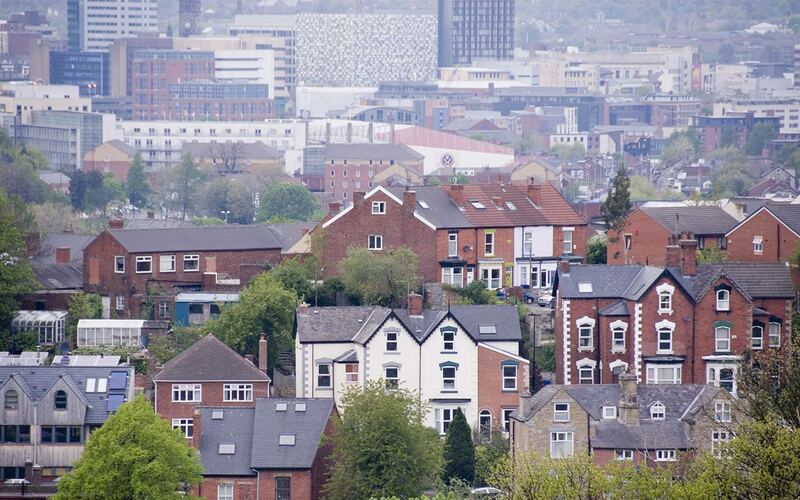 Professional and Affordable Locksmiths in Hillsborough Sheffield. We are fully insured locksmiths and always complete work to the highest standard at the best price in and around Hillsborough Sheffield. We take immense pride in our quality of service and high quality workmanship. We understand that many security issues occur during the night or small hours and we’ll always ensure that we are available to assist with whatever your need from Precision Locksmiths Sheffield in Walkley. Keep our number somewhere safe so that you can always call us if you find yourself in need of a Walkley based emergency locksmith in Sheffield. From break-ins to lost keys, we are on hand to help! Professional and Affordable Locksmiths in Walkley, Sheffield. We are fully insured locksmiths and always complete work to the highest standard at the best price in and around Walkley, Sheffield. We take immense pride in our quality of service and high quality workmanship. We understand that many security issues occur during the night or small hours and we’ll always ensure that we are available to assist with whatever your need from Precision Locksmiths Sheffield in Crookes. Keep our number somewhere safe so that you can always call us if you find yourself in need of a Crookes based emergency locksmith in Sheffield. Are you a landlord or letting agent? Have your old tenants left your property? How do you know how many keys spare keys have been cut and distributed whilst your property was under occupation? Have your old tenants lost the only key to a door and not reported it to you or damaged locks to the property? 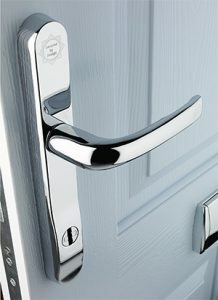 At Precision Locksmiths Sheffield we are always happy to help a landlord are letting agent. We can offer a rapid response 24 hours a day to open and replace and lock, giving you and your new tenants total peace of mind knowing exactly who has access to your property. All too often tenants can leave a property in a state of poor disrepair and this can include your doors and locks. If you find your tenant has broken a lock or the doors have dropped and won’t close or lock properly anymore, Precision Locksmiths Sheffield can help here too making sure your property is fully secure and the locks operating correctly ready for your new tenants. Precision Locksmiths Sheffield will also offer a discounted rates to any regular landlords or letting agency. We are fully insured and offer only the best quality locks, all conforming to British Standards and insurance requirements. If you’re in need of a professional and reliable locksmith company to take care of your rental premises and tenants requests , our fully vetted, qualified and experienced technicians are here to help 24 hours a day 7 days a week.